Dining table with base in solid canaletto walnut or ash. Bottom plate in chrome-plated metal. Top in tempered glass. Dining table with structure in solid ash. Top veneered ash or in natural tempered glass. 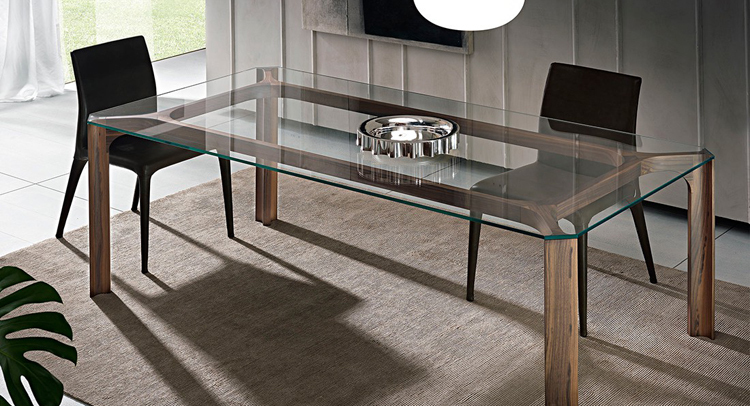 Dining table with structure in solid Canaletto walnut and top in natural tempered glass. Maxi sqaure table. extendinle both in width and length, with extensions hidden inside. 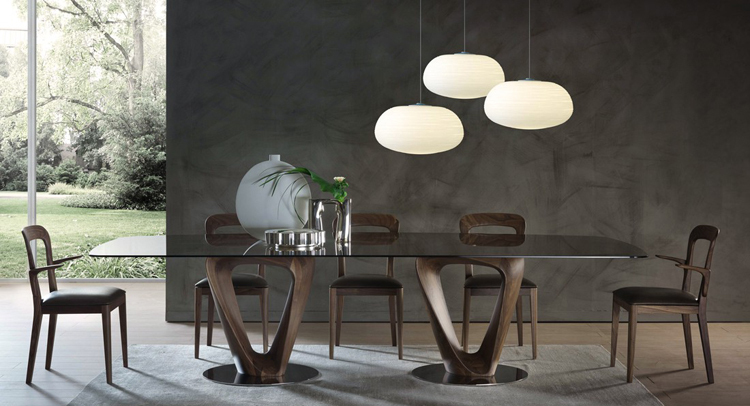 Dining table with fix base in solid Canaletto walnut. Chair with structure in solid ash. Seat and back-rest covered in leather or fabric. Chair with structure in solid Canaletto walnut or ash. Seat covered in leather or fabric. Chair with structure in solid Canaletto walnut. Seat and backrest covered in leather or fabric. Chair with structure in solid canaletto walnut. Seat covered in leather or fabric. Armchair in solid ash, covered in leather. Coffee table with upper surface in glass and lower surface veneered canaletto walnut. Coffee table with structure in solid Canaletto walnut or ash. Top veneered Canaletto walnut or in polished marble. Armchair in solid Canaletto walnut or ash, covered in leather or fabric. Coffee table with solid wood structure and top veneered and top veneered canaletto walnut. Cupboard with structure veneered ash and outline in solid ash. Doors veneered ash or in Cimento. Seven drawers with structure veneered in ash or in fiberboard. Drawers equipped with blue-motion guides, with fronts in solid ash or tulipwood.